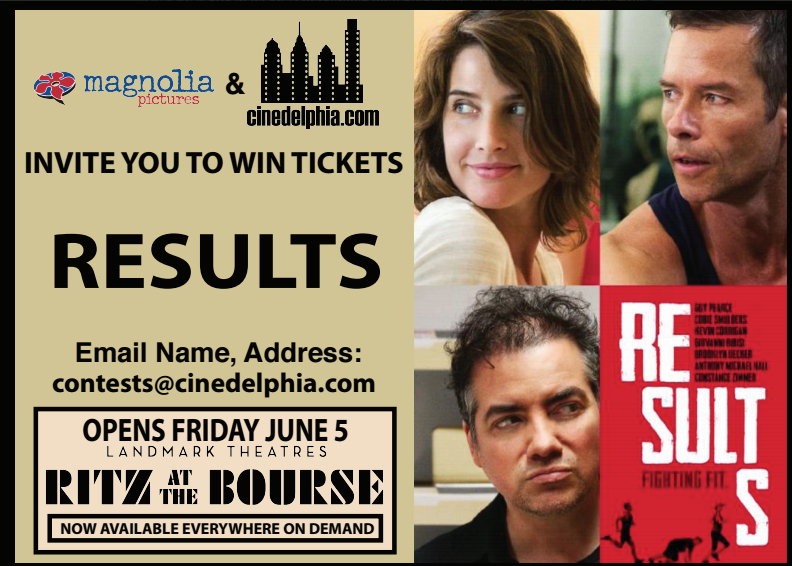 Results is opening at the Ritz Bourse this Friday (June 5th), and we are giving away some free passes to see the film at a time of your choosing from Monday, June 8 through Thursday June 11. To enter, email us with your name and full address, and tell us your favorite movie about money and happiness. Writer/director Andrew Bujalski (Computer Chess, 2013) returns with a fun, intimate fable that’s utterly grounded in real life. As wrinkles turn into complications, then blow up into full-fledged issues, the talented ensemble keeps the pensive tone light and the complex plot breezy. The end result is a charming shaggy-dog tale that’s been hitting the gym: taut, limber, and powerful.